In 1936, the American Merchant Marine Act was passed to subsidize the annual construction of 50 commercial merchant vessels to be used in wartime by the United States Navy as naval auxiliaries. The number was doubled in 1939 and again in 1940 to 200 ships a year. Ship types included a tanker and three types of merchant vessel, all to be powered by steam turbines. Limited industrial capacity, especially for turbine construction, meant that relatively few of these ships were built. In 1940, the British government ordered 60 tramp steamships from American yards to replace war losses and boost the merchant fleet. These Ocean class ships were simple but fairly large (for the time) with a single steam, 2,500 horsepower (1,864 kW) reciprocating engine of obsolete but reliable design. Britain specified coal fired plants because it had plenty of coal mines but no indigenous oil fields. The predecessor designs, including the Northeast Coast, Open Shelter Deck Steamer, were based on a simple ship originally produced in Sunderland by J.L. Thompson & Sons (see Silver Line) from 1879, and widely manufactured up to the SS Dorrington Court, which was built in 1938. The order specified an 18-inch (457 mm) increase in draught to boost displacement by 800 tons to 10,100 tons. The accommodation, bridge and main engine of these vessels were located amidships, with a long tunnel to connect the main engine shaft to its aft extension to the propeller. The first Ocean-class ship, Ocean Vanguard, was launched on 16 August 1941. The design was modified by the United States Maritime Commission to conform to American construction practices and to make it even quicker and cheaper to build. The U.S. version was designated 'EC2-S-C1': 'EC' for Emergency Cargo, '2' for a ship between 400 and 450 feet (140 m) long (Load Waterline Length), 'S' for steam engines, and 'C1' for design C1. The new design replaced much riveting, which accounted for one-third of the labour costs, with welding, and featured oil-fired boilers. The order was given to a conglomerate of West Coast engineering and construction companies known as the Six Companies, headed by Henry J. Kaiser, and was also adopted as the Merchant Marine Act design. On 27 March 1941, the number of lend-lease ships was increased to 200 by the Defense Aid Supplemental Appropriations Act, and increased again in April to 306, of which 117 would be Liberty ships. The ships were constructed of sections that were welded together. This is similar to the technique used by Palmer's at Jarrow but substitutes welding for riveting. Riveted ships took several months to construct. The work force was newly trained—no one previously built welded ships. As America entered the war, the shipbuilding yards employed women to replace men who were enlisting in the armed forces. The ships initially had a poor public image because of their looks. In a speech announcing the emergency shipbuilding program, President Franklin D. Roosevelt had referred to the ship as "a dreadful looking object", and Time magazine called it an "Ugly Duckling". To try to assuage public opinion, 27 September 1941 was designated Liberty Fleet Day, and the first 14 "Emergency" vessels were launched that day. The first of these was SS Patrick Henry, launched by President Franklin D. Roosevelt. In remarks at the launch ceremony, FDR cited Patrick Henry's 1775 speech that finished "Give me liberty or give me death". 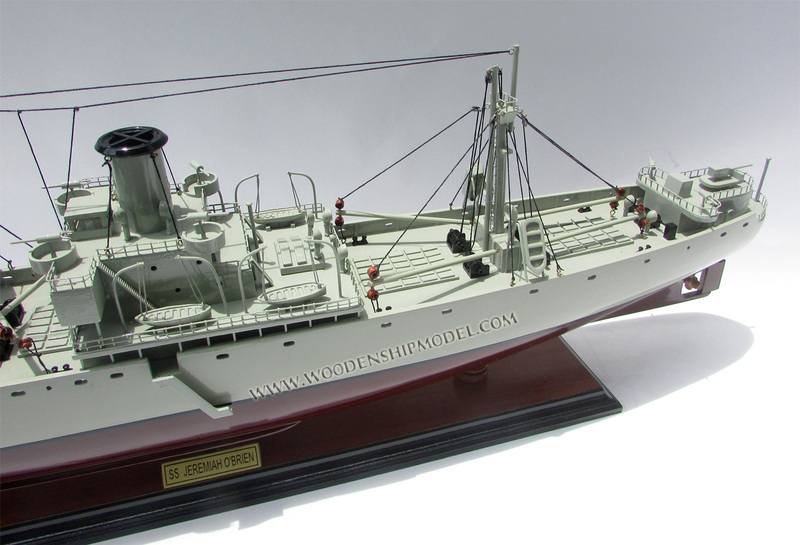 Roosevelt said that this new class of ships would bring liberty to Europe, which gave rise to the name Liberty ship. Early on, each ship took about 230 days to build (Patrick Henry took 244 days), but the average eventually dropped to 42 days. The record was set by Robert E. Peary, which was launched 4 days and 15 1/2 hours after the keel was laid, although this publicity stunt was not repeated—and in fact much fitting-out and other work remained to be done after the Peary was launched. The ships were made assembly-line style, from prefabricated sections. In 1943, three new Liberty ships were being completed every day. They were mainly named after famous Americans, starting with the signatories of the Declaration of Independence. Any group which raised war bonds worth $2 million could propose a name. Most were named for deceased people. The only living namesake was Francis J. O'Gara, the purser of the SS Jean Nicolet, who was thought to have been killed in a submarine attack but in fact survived the war in a Japanese prisoner of war camp. Other exceptions to the naming rule were the SS Stage Door Canteen, named for the USO club in New York, and the SS U.S.O., named after the organization itself. SS Richard Montgomery is also notable, though in a less positive way; the wreck of the ship lies off the coast of Kent with 1,500 tons of explosives still on board, enough to match a small nuclear weapon should they ever go off. One Liberty ship that did explode was the SS E. A. Bryan which detonated with the power of 2,000 tons of TNT in July 1944 as it was being loaded, killing 320 sailors and civilians in what was called the Port Chicago disaster. Six Liberty ships were converted at Point Clear, Alabama, by the United States Army Air Forces into floating aircraft repair depots, operated by the Army Transport Service, starting in April 1944. The secret project, dubbed "Project Ivory Soap", provided mobile depot support for B-29 Superfortress and P-51 Mustangs based on Guam, Iwo Jima, and Okinawa beginning in December 1944. The six ARU(F)s (Aircraft Repair Unit, Floating), however, were also fitted with landing platforms to accommodate four R-4 helicopters, creating the first seagoing helicopter-equipped ships, and provided medical evacuation of combat casualties in both the Philippines and Okinawa. 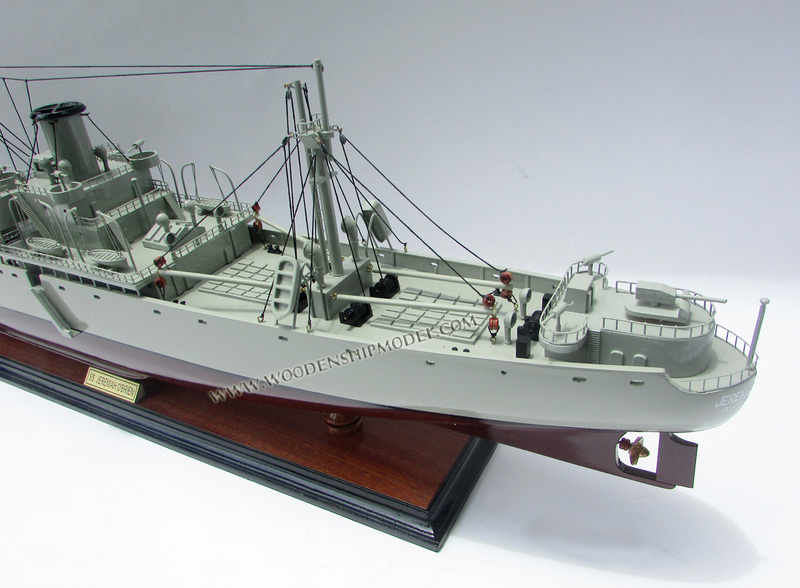 The last Liberty ship constructed was the SS Albert M. Boe, launched on 26 September 1945 and delivered on 30 October 1945. 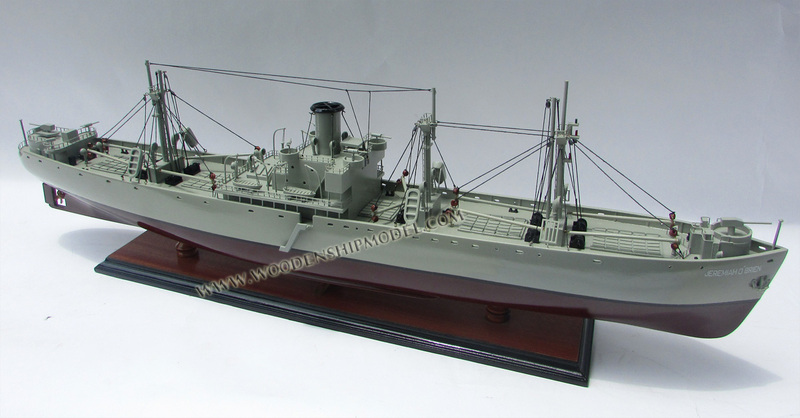 She was named after the chief engineer of a United States Army freighter who had stayed below decks to shut down his engines after a 13 April 1945 explosion, an act that won him a posthumous Merchant Marine Distinguished Service MedaL. Early Liberty ships suffered hull and deck cracks, and a few were lost to such structural defects. During World War II, there were nearly 1,500 instances of significant brittle fractures. Twelve ships, including three of the 2,710 Liberties built, broke in half without warning, including the SS John P. Gaines, which sank on 24 November 1943 with the loss of 10 lives. Suspicion fell on the shipyards who had often used inexperienced workers and new welding techniques to produce large numbers of ships in great haste. Constance Tipper of Cambridge University demonstrated that the fractures were not initiated by welding, but instead by the grade of steel used which suffered from embrittlement. She discovered that the ships in the North Atlantic were exposed to temperatures that could fall below a critical point when the mechanism of failure changed from ductile to brittle (see ductile-brittle transition temperature, DBTT), and thus the hull could fracture relatively easily. The predominantly welded (as opposed to riveted) hull construction then allowed cracks to run for large distances unimpeded. One common type of crack nucleated at the square corner of a hatch which coincided with a welded seam, both the corner and the weld acting as stress concentrators. Furthermore, the ships were frequently grossly overloaded and some of the problems occurred during or after severe storms at sea that would have placed any ship at risk. 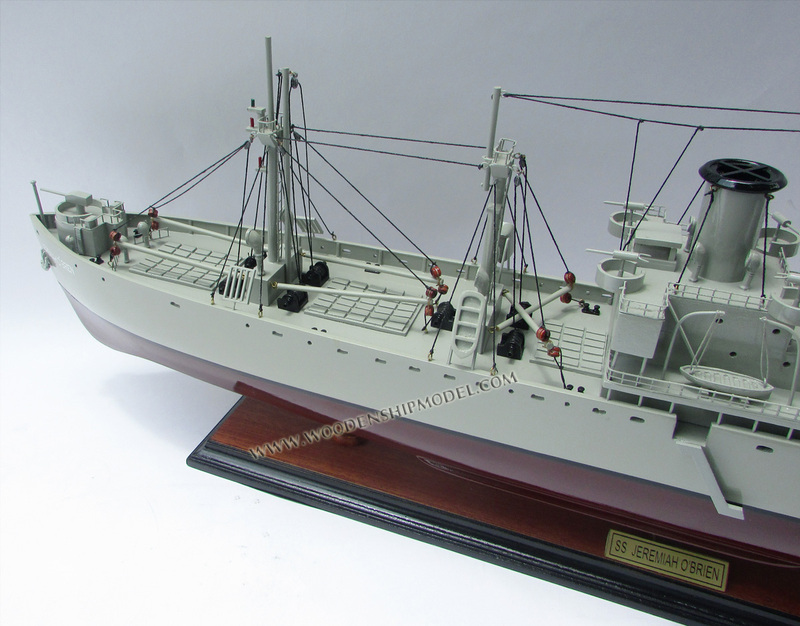 Various reinforcements were applied to the Liberty ships to arrest the crack problems, and the successor design, the Victory ship, was stronger and less stiff to better deal with fatigue. 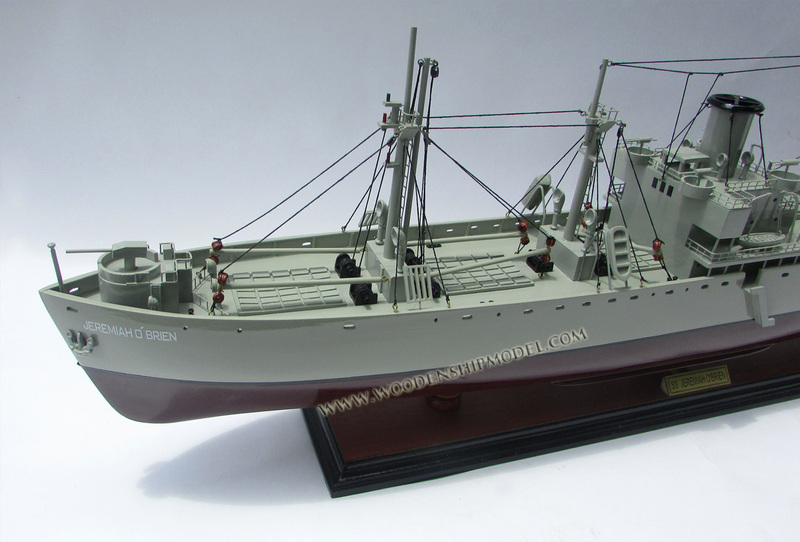 Many Liberty ships survived the war, and made up a large percentage of the postwar cargo fleet. Many were bought by Greek shipowners at very low prices. Shipping magnates like Taki Theodoracopoulos were known to have started their fleets by buying many Liberties. The term "Liberty-size cargo" for 10,000 tons may still be heard in the shipping business. In the 1960s three Liberty ships were reactivated and converted to technical research ships (they were actually used to gather electronic intelligence and for radar picket duties) by the United States Navy with the hull type AGTR. SS Samuel R. Ailken became the USS Oxford (AGTR-1), SS Robert W. Hart became the USS Georgetown (AGTR-2), and SS J. Howland Gardner became the USS Jamestown (AGTR-3). All of these ships were decommissioned and stricken from the Naval Register in 1969 and 1970. 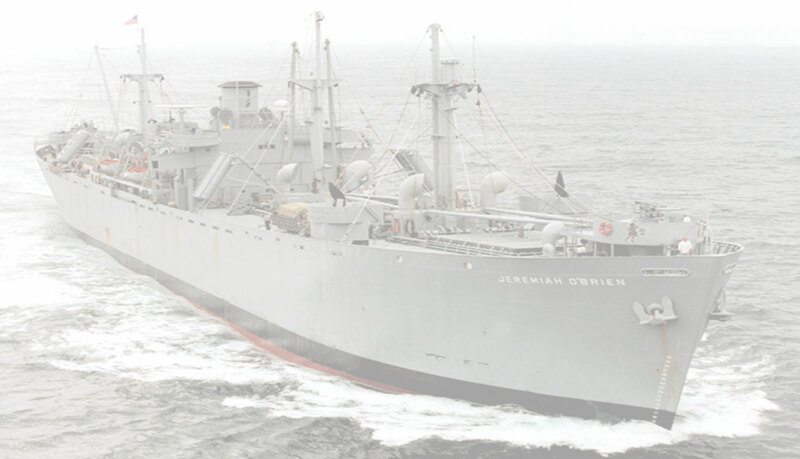 Only two operational Liberty ships survive: the SS John W. Brown (following a long career as a school ship and many internal modifications) and the Jeremiah O'Brien, largely in original condition. Both museum ships, they still put out to sea regularly. In 1994, the O'Brien steamed from San Francisco to England and France, the only large ship that participated in the World War II D-Day invasion to return for the 50th anniversary. In 2008, the Arthur M. Huddell was transferred to Greece to be converted to a floating museum dedicated to the history of the Greek merchant marine. 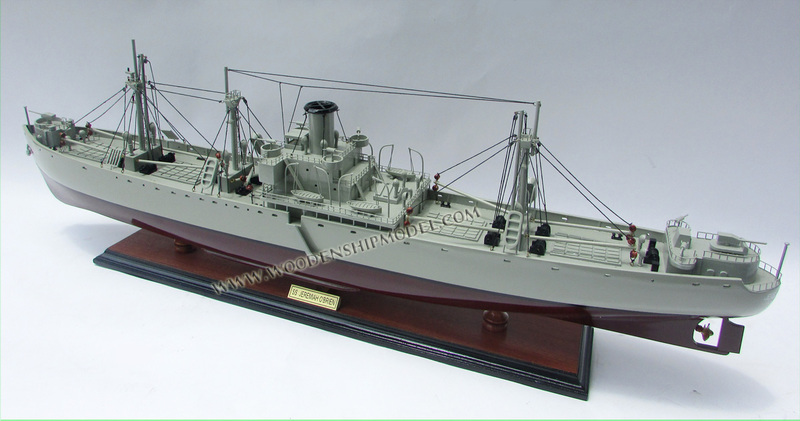 Liberty ships continue to serve in a "less than whole" function many decades after their launching. In Portland, Oregon the hulls of the Richard Henry Dana and Jane Adams serve as the basis of floating docks. The SS Albert M. Boe survives as the Star of Kodiak, a landlocked cannery in Kodiak Harbor.